1. The Asian Legal Resource Centre (ALRC) wishes to raise grave concerns with the Human Rights Council about ongoing impunity for state violence during the crackdown on the supporters of the United Front for Democracy Against Dictatorship (UDD), or the "Red Shirts, during April-May 2010 in Thailand. 2. Beginning in early 2006, the group of citizens who became the People's Alliance for Democracy (PAD), or the "Yellow Shirts," began to organize protests calling for the ouster of the elected prime minister, Thaksin Shinawatra, and the protection of the nation and traditional organizations, including the monarchy. On 19 September 2006, the military intervened and launched an extraconstitutional coup to oust Thaksin. While no blood was shed during the coup itself, the widespread political contention and violence in the nearly seven years since the coup can be seen as the legacy of the abrogation of the rule of law. 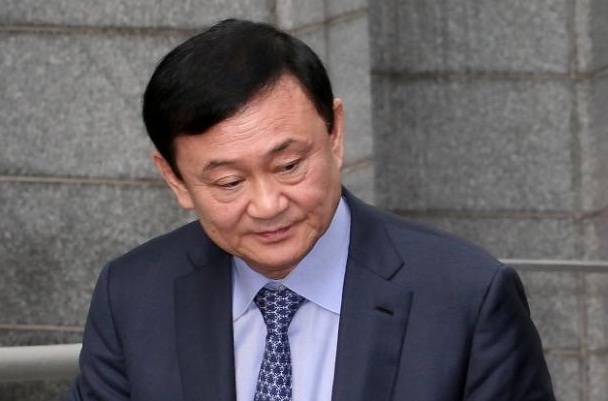 The coup began a cycle of political contention and street protests between the royalist-nationalist PAD, who opposed Thaksin, and the group of citizens who became the populist UDD, who were against the coup. As part of the political contention, the Constitutional Court carried out a series of dissolutions of political parties: first, the Thai Rak Thai Party (TRT) of Thaksin Shinawatra in May 2007, and then the People's Power Party (PPP), which TRT reconstituted itself as, in December 2008.
series of incidents beginning on 10 April 2010 and ending on 19 May 2010, the government of PM Abhisit Vejjajiva decided to use the army and ultimately deadly force to enact a crackdown to remove the UDD protestors from the streets. At least 92 people were killed and at least 2100 were injured during the two-month period. The use of deadly and disproportionate force by Thai state security forces was a significant breach of international human rights standards. While the ALRC notes that some members of UDD may have had weapons, the burden in this instance was on the state to take appropriate measures to protect the rights and lives of citizens. 5. In the over three years since the conclusion of violence, state efforts to document who perpetrated acts of violence and to secure accountability for the overwhelmingly civilian deaths and injuries have been partial at best, and verge on negligence. While the judiciary under the governments of both Prime Minister Abhisit Vejjajiva, and the Pheu Thai government of Prime Minister Yingluck Shinawatra, who was elected in July 2011, have actively prosecuted members of the UDD on charges of terrorism and arson, prosecutors have not brought charges against members of the state security forces for their roles during April and May 2010. In addition, despite extensive state resources being devoted to three different information-gathering processes about the events, the two reports revealed to the public have been flawed and incomplete and one report remains unreleased at present. 6. The ALRC would like to remind the Government of Thailand of the Commission on Human Rights' updated set of principles for the protection and promotion of human rights through action to combat impunity (E/CN.4/2005/102/Add.1). The Commission described the obligations of states to end impunity and secure accountability in the aftermath of state violence as follows: "Impunity arises from a failure by States to meet their obligations to investigate violations; to take appropriate measures in respect of the perpetrators, particularly in the area of justice, by ensuring that those suspected of criminal responsibility are prosecuted, tried and duly punished; to provide victims with effective remedies and to ensure that they receive reparation for the injuries suffered; to ensure the inalienable right to know the truth about violations; and to take other necessary steps to prevent a recurrence of violations." The ALRC is concerned that without sincere and concerted effort by the Government of Thailand, the long history of impunity in the country will be further consolidated by the failure to bring perpetrators of the violence of April-May 2010 to justice. 7. A series of investigations have been carried out by different kinds of actors, including a state agency, two state-appointed independent bodies, and a citizen group. The citizen group, the People's Information Center (PIC), released their report in late August 2012; the Truth and Reconciliation Commission of Thailand (TRCT), the first of the independent bodies, released a short report in September 2012 and their full report in July 2013; and the National Human Rights Commission (NHRC), the second of the independent bodies, released their report in August 2013. The report of the state agency, the Department of Special Investigation (DSI), has not been made public. The ALRC would like to highlight that in comparison to the reports of both the TRCT and the NHRC, the report of the People's Information Center (PIC), a citizen group, released in September 2012, represents a rigorous accounting of the events of March-May 2010. The ALRC views the report of the PIC as an important action by citizens in the service of protecting human rights and ending impunity. Further, particularly in the case of the gross misunderstandings of basic human rights principles reflected in the NHRC report, the ALRC would like to express concern that the state is either not as concerned with securing accountability as citizens, or lacks the capacity to do so. Either of these explanations indicates a significant obstacle to the consolidation and promotion of human rights in Thailand. 8. Although postmortem inquests have been initiated by the state prosecutor and carried out in some of the cases of the April-May 2010 deaths, no charges have been filed against state officials for their clear roles in the violence. To examine but one example, on the final day of the crackdown, 19 May 2010, 6 civilians were killed inside a Buddhist temple, Wat Pathum Wanaram, which was close to the center of the protests. On 6 August 2013, the Bangkok Southern court ruled in the postmortem inquest in Black Case No. C5/2555 that these 6 civilians were killed by soldiers. The court noted that, "The deaths were caused by being shot with .223 or 5.56 mm bullets and the direction of fire was from where the competent officials were stationed to perform their duties to maintain order on the BTS's rail tracks in front of Wat Pathum Wanaram Ratcha Worawiharn and around Rama I Road. At the instructions of the Center for Resolution of Emergency Situation (CRES), the officials took control over the area of the Ratchaprasong Intersection. And as a result of that, the first deceased died of gunshot wounds on his lungs and heart causing hemorrhage, the second deceased died of gunshot wound that destroyed his lungs, the third deceased died of gunshot wounds that destroyed his lungs, heart and liver, the fourth deceased died of gunshot wounds that destroyed his lungs and liver, the fifth deceased died of gunshot wounds that destroyed her brain and the sixth deceased died of gunshot wounds that went through his oral cavity, whilst no particular perpetrators can be identified" (unofficial translation provided by Prachatai). Given the conclusion by the court, it is incumbent upon the Government of Thailand to ensure that the case does not end with the inquest, but that further action is taken so that the officials responsible for carrying out the violence and the officials responsible for ordering the violence are held to account. Call on the Government of Thailand to ensure that the amnesty bill ultimately passed redresses, rather than consolidates, impunity and the violation of human rights. Call on the Government of Thailand to ensure that the judicial processes related to April-May 2010 violence do not end with inquests but continue to the prosecution of the responsible state officials in accordance with the law. Urge the Government of Thailand to expedite the release of the report of the Department of Special Investigation (DSI) regarding the April-May 2010 violence. Request the Office of the UN High Commissioner on Human Rights to continue monitoring developments related to accountability for the April-May 2010 violence in Thailand. 1. The Asian Legal Resource Centre (ALRC) wishes to raise concerns about the normalization of the violation of human rights in the name of protecting the monarchy in Thailand with the Human Rights Council. This statement is the seventh on this topic that the ALRC has submitted to the Council since May 2011. During the seventeenth session of the Council in May 2011, the ALRC highlighted the rise in the legal and unofficial use of Article 112 of the Criminal Code and the 2007 Computer Crimes Act (CCA) to constrict freedom of expression and intimidate citizens critical of the monarchy (A/HRC/17/NGO/27). During the nineteenth session in February 2012, the ALRC detailed some of the threats faced both by those who have expressed critical views of the monarchy, both legal and extralegal, as well as those who have expressed concern about these threats (A/HRC/19/NGO/55). During the twentieth session in June 2012, the ALRC raised concerns about the weak evidentiary basis of convictions made under Article 112 and the CCA (A/HRC/20/NGO/37) and the concerning conditions surrounding the death in prison custody of Amphon Tangnoppakul on 8 May 2012, then serving a 20-year sentence for four alleged violations of Article 112 and the CCA (A/HRC/20/NGO/38). During the twenty-second session in March 2013, the ALRC highlighted the January 2013 conviction under Article 112 of human rights defender and labour rights activist Somyot Prueksakasemsuk (A/HRC/22/NGO/44). During the twenty-third session in June 2013, the ALRC emphasized the regularization of the crisis of freedom of expression in Thailand, and noted that constriction of speech had become constitutive of political and social life in Thailand (A/HRC/23/NGO/42). 2. Over the course of the prior six statements, the ALRC first noted with surprise the active use of measures to constrict speech, then tracked the expansion of this use, and finally, the entrenchment of the foreclosure of freedom of speech. The ALRC is again raising the issue of freedom of expression with the Council in order to ensure that the regularization of this threat to human rights does not lead to it being normalized or forgotten. In the statement submitted to the Council in June 2013, the ALRC cautioned that current conditions threatened to normalize the routine denial of bail to individuals awaiting trial and appeal, the provision of substandard medical care in prisons, and the use of secrecy to restrict the openness of trials and public information about ongoing cases. In this statement, the ALRC wishes to alert the Human Rights Council to ongoing developments that lend weight to these concerns and underscore the urgency of addressing the crisis of freedom of expression in Thailand. 3. Article 112 criminalizes criticism of the monarchy and mandates that, "Whoever defames, insults or threatens the King, Queen, the Heir-apparent or the Regent, shall be punished with imprisonment of three to fifteen years." The 2007 CCA, which was promulgated as part of Thailand's compliance as a signatory to the United Nations Convention Against Transnational Organized Crime, has been used to target web editors and websites identified as critical of the monarchy or dissident in other ways. The CCA provides for penalties of up to five years per count in cases which are judged to have involved the dissemination or hosting of information deemed threatening to national security, of which the institution of the monarchy is identified as a key part. While Article 112 has been part of the Criminal Code since the last major revision in 1957, available statistics suggest that there has been a dramatic increase in the number of complaints filed since the 19 September 2006 coup; how often these complaints become formal charges and lead to prosecutions is information that the Government of Thailand has continuously failed to provide up to the present. The CCA has often been used in combination with Article 112 in the four years since its promulgation; similar to the use of Article 112, complete usage information has not been made available by the Government of Thailand. This failure to provide information creates fear and diminishes the space for freedom of expression through the use of secrecy and creation of uncertainty. 4. At present, there are 4 persons known to be serving prison terms for alleged violations of Article 112 and/or the CCA and 1 person behind bars while undergoing trial. a. Daranee Charnchoengsilpakul was convicted of violations of Article 112 related to 55 minutes of speech and sentenced to 18 years in prison on 28 August 2009. Following examination of her case by the Constitutional Court, her sentenced was reduced to 15 years in December 2011. The Appeal Court upheld her conviction and sentence in May 2013.
b. Surachai Sae Dan (Danwattananusorn) was convicted of a series of violations of Article 112 related to political speeches he made and sentenced to a total of 12.5 years in prison in a series of cases in 2012. He has submitted a request for a royal pardon and is awaiting the outcome. c. Somyot Prueksakasemsuk was convicted of violations of Article 112 related to his work in editing and publishing Voice of Taksin magazine, which was deemed to include two anti-monarchy articles (written by someone else) and sentenced to a total of 11 years in prison on 23 January 2013 (10 years on Article 112-related charges and 1 year related to a prior case). He has submitted an appeal to the Appeal Court and is currently awaiting a decision. d. Ekachai Hongkangwan was convicted of violations of Article 112 related to selling VCDs of an ABC Australia documentary and copies of WikiLeaks material and sentenced to 3 years and 4 months in prison on 28 March 2013. He has submitted an appeal to the Appeal Court and is currently awaiting a decision. e. Yutthapoom (last name withheld) has been held in the Bangkok Remand Prison since 19 September 2012 on charges of violating Article 112 following a complaint submitted by his older brother related to a conversation they had while watching television at home. The witness hearings in his case began on 20 August 2013, after he endured 333 days of pre-trial detention. 6. Common to these 5 cases is that the individuals involved have repeatedly been denied bail, always on the grounds that their crimes are too grave a threat to national security to permit even temporary release, despite full cooperation of all parties in investigation and prosecution. Although some individuals were granted bail while awaiting trial, upon conviction they were all denied bail, despite ongoing processes of appeal. This is in contravention to Article 9(3) of the International Covenant on Civil and Political Rights (ICCPR), to which Thailand is a state party, which specifies: "Anyone arrested or detained on a criminal charge shall be brought promptly before a judge or other officer authorized by law to exercise judicial power and shall be entitled to trial within a reasonable time or to release. It shall not be the general rule that persons awaiting trial shall be detained in custody, but release may be subject to guarantees to appear for trial, at any other stage of the judicial proceedings, and, should occasion arise, for execution of the judgment." 7. To raise one notable example of the denial of bail, Somyot Prueksakasemsuk (5c above), submitted his 15th request for bail on 24 July 2013. Along with the application, approximately 152,000 USD of property deeds were submitted as security with the request. On 26 July 2013, the Appeal Court denied the request. The justification offered was that as Somyot had been sentenced to a prison term greater than 10 years, if he was released, there was a danger that he might flee. The Appeal Court further noted that, "The actions of the defendant impacted public order and the feelings of the people," and so his release on bail was not warranted. 8. Bail is routinely granted during trials and after conviction while awaiting appeal in cases of committing violent crimes in Thailand, but routinely denied for cases involving freedom of speech. To offer one example, on 30 July 2012, in Black Case No. 3252/2552, 3466/2552, the Criminal Court found five police officers guilty of brutally murdering Kiettisak Thitboonkrong, age 17, in 2004 as part of the so-called "War on Drugs," in which close to 3000 people were extrajudicially killed across Thailand. Three of the police offers were found guilty of premeditated murder and hiding a corpse and sentenced to death. One police officer was found guilty of premeditated murder and sentenced to life imprisonment. One police officer was found guilty of abusing his authority to aid in protecting his subordinates from criminal prosecution and sentenced to seven years' imprisonment. All five police officers were granted bail while they appeal their conviction. In all but one of these instances, the police were sentenced to longer prison terms than Somyot Prueksakasemsuk, yet they were granted bail. Given the explanation by the Appeal Court when they denied Somyot's request that the length of his sentence meant that he might flee and that his crime impacted public order, granting the police officers bail seems strange. In the absence of an explanation from the Court, this collection of actions suggests that constricting dissident speech and protecting the monarchy are more important to the Thai state than ensuring accountability for extrajudicial violence committed against citizens by state actors. 9. The ALRC is gravely concerned about the effects of the ongoing entrenchment of the constriction of freedom of expression on human rights, justice, and the rule of law in Thailand. The frequency of the exercise of the draconian Article 112 and CCA risks the naturalization and normalization of violations of rights and the constriction of speech and political freedom. The ALRC would like to remind the Government of Thailand that under Article 19 of the ICCPR, restrictions on the right to freedom of expression are only permissible under two circumstances: "for respect of the rights or reputations of others" and "for the protection of national security or of public order (ordre public), or of public health or morals." While measure 112 is classified as a crime against national security within the Criminal Code of Thailand, and this, along with the need to protect the monarchy, is frequently cited by the Government of Thailand when faced with the criticism that the measure is in tension with the ICCPR, a precise explanation of the logic for categorizing the measure as such has not been provided to date. Until this explanation is provided, the constriction of freedom of expression is arbitrary. 10. In view of the above, the Asian Legal Resource Center calls on the UN Human Rights Council to: Call on the Government of Thailand to release all those convicted or facing charges under Article 112 and the 2007 Computer Crimes Act. At a minimum, those currently being held should immediately be granted bail while their cases are in the Criminal or Appeal Courts. Demand that the Government of Thailand revoke Article 112 of the Criminal Code and the 2007 Computer Crimes Act. Urge the Government of Thailand to allow and support the full exercise of freedom of expression and political freedom, consistent with the terms of the Universal Declaration of Human Rights, to which it is a signatory, and the International Covenant on Civil and Political Rights, to which it is a state party. Request the Special Rapporteur on the freedom of opinion and expression to continue ongoing monitoring and research about the brought situation of constriction of rights and individual cases in Thailand; and, the Working Group on Arbitrary Detention to continue to monitor and report on those cases of persons arbitrarily detained under Article 112. This is to seek your intervention in the matter of admission of an underprivileged girl Anshu Singh (age 11yrs.) daughter of a watchman Sh. Kamal Dev Singh (M-9910904591) who passed her class Vth from B.S. Memorial Public School Roshan Nagar Agwanpur, Faridabad. Despite her case been recommended by the Dy. Director of Education (South) Defence Colony for admission in G.G.S.S. School No.2 Molarband and all the required papers been submitted by her father the Admission Incharge gave no firm answer and said “we will call you”. This School is around 1 ½ K.M. from the place of residence of the girl student. After the father made innumerous rounds of the school on 30-07 2013 the Principal of the school said the admissions are over and asked the father of the girl student to take back all the papers submitted by him. When the father refused to do so the Admission Incharge called the Guards of the school and asked them not to let the father leave the school premises until he takes back papers submitted for the admission of his daughter. Sh. Kamal Dev Singh had to call the PCR on 100 for his safety as the guards were about to manhandle him. After the intervention of the police he could leave the school premises although the police constable also pressurized him to take his papers back or otherwise they will be thrown in the dustbin. The above mentioned episode clearly reflects the Talibani mind set of the Admission Incharge and the total insensitivity of the school authorities towards the RTE of the poor children. Ansan, South Korea – Another Filipino journalist was horrifically killed at his home in front of his family. In just a couple days ago after two manila columnists were killed, he was the third media- practitioner murdered in span of just two days. Mario Sy, an independent news photographer was shot dead in General Santos City, Cotabato province , Southern Mindanao, Philippines. He was the 16th pressmen slain in line of duty since 2010 when President- elect Aquino was in power. 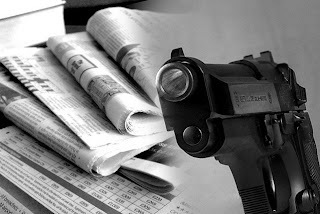 National Union of Journalists of the Philippines (NUJP) secretary general, Rupert Manlangit said that prior to this, two columnists of a small tabloid called ”Action Today” , Richard Kho and Bonifacio Loreto, were shot dead two days ago when Sy was mercilessly slain. General Santos police investigator Torreta said the two suspects broke into Sy’s home at about 8:30 p.m., shot him pitilessly before his wife and child and fled on a motorcycle. The wife of the victim gave testimonies to investigators about the incident but she did not identify the killers. Police added that authorities have still to establish the motive for the inhuman attack. Meanwhile, critics have blamed on widespread ownership by civilians and a “culture of impunity” that sees among the masterminds behind the killing of hundreds of journalists were not being brought to justice for inhuman and criminal acts, according to the news reports. NUJP is still hoping immediate justice and action for victims and families on thirty-two journalists who were among the 58 people ambushed and murdered in Maguindanao massacre by powerful clan in Southern Mindanao, making the worst killings of media practioners in the world. “Since the Maguindanao massacre, this marked the first time that we had more than two journalists killed in a week,” Manlangit stressed out. Today, Philippines marks as the second deadliest country in the world for media advocates. In addition, based on news reports, The New York-Based Commitee to protect Journalists says at least 73 Journalists have beed killed in direct connection to their work since 1992. On the other hand, Carlos Conde, a researcher of the International rights watchdog Human Rights Watch told AFP; “ It is indeed very woorisome for human rights in general and extra judicial killings and summary killings in particular, it seems things are not improving.” He also said reports of summary execution-style killings are on the rise in Manila as well as Provincial areas.” In conclusion, the government authority is incompetent in solving the killings of journalists across the country until today and could not be able toprosecute the masterminds behind the killings of defenseless and unprotected Journalists. Ansan, South Korea – Philippine today has been called a place of “Purgatory” and also known as “Gates of Hell” nowadays by some netizens in any networking sites because of unstoppable kidnappings, killings of Journalist and rival politicians, and rampant poverty as well and thus this is only the haven of few rich capitalists and businessmen specially for Filipino-Chinese descent and not for the real Filipinos, worse it is now a country where political dynasty arising and manipulating . This is happening at present time across the country wherein the powerful groupor families of traditional politicians maintaining political power in decades and thus “Political Dynasty” rules the nation which rises corruption in national and local level of the governmant. The present government allegely did some actions and measures to control corruption but there is no adequate prevention and solution. Ironically, Aquino administration has elevated the economy, according to reports, on the other hand, there are lack of jobs for Filipinos and many could not bring enough food due to high prices of commodity and electricity, low income, purchasing power or income of individual of a normal laborer is lesser than his expenses in a month, it is ironic too, to have this inequality distribution of wealth and living in which only few rich people can survive and exist and even capitalists’ business malls are countless anywhere while more than 90 percent poor Filipinos across the country are not satisfied with their standard of living. The government on the other hand, has adequate fund to support the less-privilege but one of the wealths of the nation called CDF or Pork Barrel for example, reportedly went to dishonest lawmakers of the country, ( senators and congressmen) who supposed to elevate poor in society’s standard of living, based on the reports 60 percent of the said fund went to their own pockets and to the contractors as well. Every Senator and Congressman gets million or billion of pesos worth of CDF or pork barrel for their 3-year term upward – wherein these large amount of funds could build more and decent houses for the homeless and poor particularly whose houses ruined by the floods, typhoons and other disasters. The truth is, there is no poor in the country anymore if there is no rampant corruption and thieves of nation’s treasury. As per the World Bank itself, the weakness of the Philippine state “stems from the effective control by interest groups of the state machinery, such that rule-making and enforcement serves not the general welfare but particular interests.” This is the same as electing a family to run a town or province. This includes gaining a considerable influence in Congress itself, where the major laws are defined. For instance,in Maguindanao province, political dynasty is rising as Ampatuan families governed the 3rd poorest province of the nation for more than three decades now. 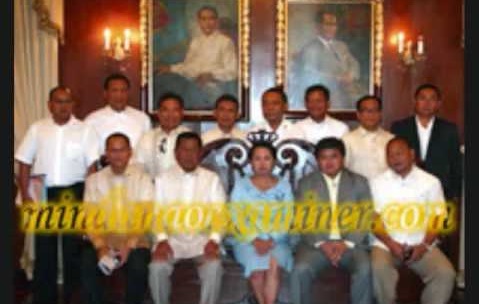 The former governor of the 1st distict was Andal Ampatuan Sr, while the mayor of the town is Andal Ampatuan Jr., his youngest son, likewise oldest son, Zaldy Ampatuan is ARMM governor and the rest of Ampatuan clan served as vice mayors, councilors in several cities and towns respectively. Worse, based on reports, the towns or districts ruled by Ampatuan political dynasties are listed as among the poorest but surprisingly, Ampatuan clans were not that rich as they were today when they ruled Maguindanao province. Horrified massacre of 58 people including 32 Journalists took place in here due to political rivalry and dynasty, the worst killing in the world. On the other hand, The 1987 Philippine Constitution prohibits Political Dynasty and it states in Article II Section 26, , "The State shall guarantee equal access to opportunities for public service, and prohibit political dynasties as may be defined by law." But this lacks the implementing rules and regulations and only an Anti-Dynasty Bill will complete the law. On the 18th of July, 2013, we, citizens of Bangalore, express our solidarity with the struggling workers of the Maruti Suzuki plant. This date marks a full year following the outbreak of violence unleashed by the Maruti management , beginning with casteist abuses directed at a worker, and culminating in physical violence resulting in the death of one person, which was used as a pretext to fire and criminalize workers fighting for their labor rights. This physical violence was neither recorded by management on the CCTV cameras they had installed on the factory premises, nor prevented by either the 100 goons hired by management to intimidate workers that day, or the police who were available on standby but were prevented from entering the factory. The workers have long been demanding an impartial, independent enquiry into the events of that day. Instead, in the absence of evidence, 147 workers have been held in jail without bail for a whole year, and 546 permanent and 1800 contract workers’ jobs have been terminated in the Maruti Suzuki factory. Of course in the absence of evidence, the workers who faced repression were those who had been organizing for better working conditions. The workload in this industrial assembly line factory reduced workers to constant machines, who were denied leave and penalized for taking even a few days’ leave by deducting upto 50% of the monthly salary. Workers faced humiliating work conditions such as being denied access to the toilet except during fixed times, and workers who fell sick on the work site were not allowed to seek health care. Contract workers were paid measly wages and were constantly under the threat of losing their jobs. All this for an industry that made over 3000 crore rupees and 12 lakh cars per year as of 2011-2012 based on the labor of these workers. During the course of this year, the Maruti workers have faced unprecedented repression not only from the Maruti Suzuki management but also from the state. Peaceful demonstrations before the authorities in May were only met with brutal lathi charges and arrests, and now the entire Manesar area has been heavily militarized. Outrageously enough, government funds were withheld to panchayats in Haryana that pledged their support to the workers. How dare our government withhold funds contingent upon the decisions of a democratically elected local body? Similarly, the Chandigarh High Court verdict dismissing the bail application of nine workers who have been in jail since July 2012 states, “The incident is a most unfortunate occurrence which has lowered the reputation of India in the estimation of the world. Foreign investors are not likely to invest their money in India out of fear of labour unrest.” Does our government exist to woo foreign investors or to protect its own citizens and the prime builders of everything in society - our workers? Does our government respect its own democratic mandate or the mandate of wealthy bloodsucking capitalists and foreign investors? We stand with the Maruti workers and workers everywhere in protesting this state of affairs which increasingly affects every individual in this country – the denial of livelihood to workers, the parasitic hoarding of wealth by an already criminally wealthy elite, and the use of the state to enforce criminalization of anyone who opposes these heinous injustices. We are inspired by the Maruti workers, by their solidarity with the dalit worker who was verbally abused by the management on the morning of 18 July 2012, and by the unity they have forged between permanent and contract workers. We stand by the demands of the Maruti Suzuki Workers Union Provisional Working Committee: Take back all the fabricated criminal cases against Maruti Suzuki workers and immediately release 147 workers. Quash all cases against the 10 activists in Kaithal. Immediately release all workers and activists. Immediately reinstate the illegally terminated workers of Maruti Suzuki Manesar plant, Suzuki Powertrain India plant and Suzuki Motorcycles India plant. Institute an independent impartial inquiry into the incident of 18th July 2012. On Thursday, July 11, 2013, the verdict in the case of three human rights defenders -- JittraKotchadej, BoonrodPaiwong, and SoonthornBoonyord -- will be read at the Criminal Court on Ratchadaphisek Road in Bangkok. The charges against the human rights defenders stems from peaceful protests they held calling on the government to take action to protect labor and human rights in 2011. If convicted, they could be sentenced to a maximum prison term of five years and/or a fine of up to 10,000 baht. The prosecution of JittraKotchadej, BoonrodPaiwong and SoonthornBoonyord indicates a grave threat to the rights of citizens to take action to protect human rights and livelihood in Thailand. The Asian Human Rights Commission calls on all those in Bangkok interested in the protection of human rights to attend the reading of the verdict as observers and for all others to closely follow developments in this case. Background: On August 27, 2009, JittraKotchadej, BoonrodPaiwong, and SoonthornBoonyord were part of peaceful protests requesting the government's aid in the case of the dismissal of 2,000 workers by Triumph International. With approximately 400 women workers from several labor unions, they protested in front of Parliament and Government House in Bangkok. Prior to the protests, they had submitted petitions to then-prime minister Abhisit Vejjajiva regarding the mass dismissal of workers and asking him to protect workers' rights. They were protesting as they had not received a response from the prime minister. In response to the protests, the police used a Long Range Acoustic Device (LRAD), which makes a very loud and painful noise, to attempt to disperse the protestors. Over a year after the protests, the public prosecutor charged JittraKotchadej, BoonrodPaiwong, and SoonthornBoonyord with violating Articles 215 and 216 of the Criminal Code in Black Case no. Or 620/2554. Article 215 of the Criminal Code states that "If the offender is leading an act , he/she shall be punished for the maximum of five years imprisonment or fined not exceeding ten thousand baht or both. "Article 216 of the Criminal Code states that "hen an official orders any person assembled under section 215 to disperse and such person does not disperse, he/she shall be imprisoned for the maximum of three years or fined for the maximum of six thousand baht or both." This means that the three human rights defenders could be sentenced to a maximum prison term of five years and/or a fine of up to 10,000 baht. This prosecution of JittraKotchadej, BoonrodPaiwong, and SoonthornBoonyord represents a significant threat to the rights of citizens to peacefully protest and defend human rights in Thailand. Lucknow, June 20, 2013 : Joining hands with our allies, we will further intensify Jan Adhikar Abhiyan(Peoples Rights campaign). After conclusion of his ten day fast, Com. Akhiledra Pratap asserted it while addressing a meeting of the Party cadres. He said that his fast was against the divisive politics of Akhilesh government run through the dictates of SP Supremo, further polarising the people of the state already undergoing division and alienation. Akhilesh government first isolated the dalits from the entire society and Mayavati, too, with an eye on consolidating the dalits, helped him in this endeavor. It is a known fact that the Supreme Court verdict in Nagraj case regarding reservation, was actually about the backwardness of the OBCs. However SCs and STs became its victim. It could be rectified only through a revision petition but Mayavati did not do even this much. Conducting campaign on Parasuram Jayanti, SP government,despite knowing fully well that Extremely Backwrd Castes(EBCs) can not be included in SC category, as per provisions of the Constitution, as they are not untouchables, has passed a resolution to this effect in the Cabinet and sent it to the Central government. This is nothing short of an attempt to deprive EBCs of social justice. He said that Mulayam Singh is product of socialist movement and the honesty in politics demands that he should separate the quota for EBCs on the basis of Karpuri Thakur Formula. He alleged that SP government is indulging in the politics of creating further wedge between Hindus and Muslims in the state. Despite being fully aware that constitutionally the government could not withdraw the terror cases, only to trap Muslims, the government made loud declarations to withdraw such cases. This created an impression among the Hindus that the government is withdrawing case of the criminals. Obviously it did not serve any purpose for the Muslims. Had the government been honest in its declaration, it would not have made such inordinate delay in tabling the Justice Nimesh Commission Report along with the Action Taken Report in the state assembly. Even till date, the government has not ensured the investigation into the FIR lodged by Khalid`s uncle into his arrest and custodial death, nor has it mounted any pressure on the Central government for CBI inquiry. The government could constitute a commission to look into the matter of all youth languishing in jails in the name of terrorism. After its findings, people at large could know who was a terrorist and who was innocent. He said that this politics of division and communal polarization does not augur well for the state. He said that the state government has betrayed the peasants also. Waiver of their loans upto Rs. 50 thousand was promised. However, as per reports, now the government is collecting list to waive off only the interest on the Land Development Bank loans. The government has not yet fulfilled its promise to constitute Farmers Commission and provide minimum support price by adding 50% to the input cost. In gross violation of the Supreme Court orders, illegal mining by the syndicates for plundering our natural resources continues unabated in the state. To save the state from this predicament, intensifying the Peoples Rights Campaign for establishing rule of law, is need of the hour. The meeting was attended by SR Darapuri, National spokesperson AIPF, Md. Shoaib, State Convener,Naseen Khan, Co-convener, lal bahadur Singh, Organisational Incharge Dinkar Kapoor, Gulab Dhand Gond, Rajesh Sachan, Surendra Pal, Akhilesh Dubey, Ajit Singh Yadav, Vijai Rao, Jokhu Siddiqui, Mahes Singh, Raj narain Mishra, Chhakkan Chauhan, Arif, Sabir, Ramesh Kharvar, Kamlesh Singh and others. On 19 June 2013, the Pitsanuloke Administrative Court, Pitsanuloke Province, ruled in the case between Ms. Ma Maw Di Yan, aka "Juju", the procurator of Zamira, aka "Zalima", v Provincial Electricity Authority (PEA), the first defendant, and Mae Sot Municipality, the second defendant. The case is centers on alleged breaches or violations committed by administrative agencies owing to negligence of their duties as provided by law. The Mae Sot Municipality, the second defendant, was found guilty by the Court for failing to maintain, monitor, and repair power grid system on public roads under its charge. As a result, the girl, Zalima, got injured and later died. The Mae Sot Municipality has been ordered to provide 750,000 baht as compensation to the plaintiff for the loss of a source of support. The compensation shall be paid within 90 (ninety) days from the date of the final verdict. The case against the Provincial Electricity Authority has been dismissed. The incident took place on 25 June 2011 at around 6 p.m. Zalima, 10 years old, daughter of Ms. Ma Maw Di Yan, a migrant worker with work permit to work in Thailand, and the plaintiff in this case, was on her way home from a grocery store. En route, there was heavy downpour and inundation, and while wading through water, Zalima got electrocuted, presumably from currents that leaked from three nearby electric poles, and as a result, sustained grave injuries. According to the medical report, her heart stopped beating due to brain anoxia. Resuscitation was applied, but failed to help her regain consciousness. The plaintiff held that the death of Zalima had been caused by electrocution owing to the leak of electricity in the water that had accumulated. Both the PEA and the Mae Sot Municipality are in charge of the electric poles, power grids, and electricity. They are supposed to maintain and ensure safety of the electric poles, related devices, and electricity, and they are experts in their profession. In addition, according to the Provincial Electricity Authority Act B.E. 2503 (1960) and the Municipality Act B.E. 2496 (1953), both authorities are obliged to prevent the leakage of electricity which may harm the public. But the two defendants have failed to observe their duties carefully and, as a result, Zalima was exposed to electric shock until she sustained grave injuries and died. It has been considered a breach of duties by administrative agencies or governmental officials and their negligence of their official duties as provided for by law. The plaintiff demanded 6,220,185 baht from the PEA and the Municipality to cover medical expenses, account for inability to earn one's living, mental suffering from the date the incident took place and its enduring and incurable effect, lack of income (as the plaintiff was not able to work as she had to tend to her child), and any future medical expense. Ms. Preeda Tongchumnum, Assistant to Secretary General of the Human Rights and Development Foundation (HRDF), said that the order of the Pitsanuloke Administrative Court for the Mae Sot Municipality to provide compensation to the plaintiff who is a migrant worker sets precedent for the right to access to justice, which is provided for by the Constitution and international standards. In this case, agencies in the justice process have effectively performed their duties to receive the complaint and solicit input from various concerned agencies as well as to acquire oral evidence. As a result, the plaintiff who is a migrant worker in Thailand, acquired enough evidence to bring the perpetrators to justice within Thailand's judicial system. It affirms that regardless of status, i.e. a migrant worker or a Thai citizen, everyone in Thailand is equally protected by law. BJP is projecting Modi and Congress is projecting Rahul as their leaders. As far as the majority of the people are concerned what is the difference? As far as the Globalization and Capitalism is concerned both are in the same boat. Both are competing with each other on this issue is concerned. It is the free movement of Capital to make profit at the expense of the vast majority, who do not have the basic needs in life. By hook or by crook a few are making profit more and more and the victims are becoming poorer and poorer. There is no Social Justice and Distributive Justice in India. This Globalization is organically linked with corruption amounting to lakhs and lalhs crores of rupees competing with one another. There is no ethics. Both are trying Growth Model Economy depleting Natural Resources. A few are holding the 80% of the land belonging to 80% people of this country. Even after 73 years since the Independence both are not capable of bringing about Land Reform as envisaged by the Indian Constitution. The ruling class is not able deliver Water for all, Education for all, Health for all , and House for all as per the Indian Constitution. It is an Exclusive Economy and an Exclusive Development. All the MPS and MLAS are the Rich of this Country . These few people are protected by the Police, Army and Mass Destructive Nuclear Weapons, against the struggles of the victims. What is the difference? Congress is accusing BJP that it is Communal, and Congress is Secular. BJP is playing the card that it is National and belonging to the Majority Religion Hinduism. Here Modi is accused of being against the Minorities. The two outstanding examples used against each other are killing Muslims after Godhara and killing Sikhs after Indira Gandhi Murder. Both are in the same soup. Directly or indirectly both are playing Majority Card trying to appease the Minorities. There are many examples how each one projecting certain actions. BJP is projecting Ayodhya issue as the trump card as if they are standing for the Majority. Congress is not taking the trouble to make SC/ST Muslims and Christians to belong to SC/ST as the mandate from the Indian Constitution. Congress is indirectly playing a game to appease the majority. Where is the Secular Card of Congress? On the other hand Fundamentalism is on the rise in all the three Religions-Hinduism, Islam and Christianity. All the three Religions are using Ritualism and Dogmas to appease the Majority in the respective Religions. They are bothered about Quantity rather than Quality. The radicalism and prophetical character in each religion is given way to the ritualism and dogmas in each religion. The history of Islam and Christianity shows how they murdered the opponents. The practice of Communalism is found in each Religion. However the Majority Communalism is more dangerous than Minority Communalism. . Each political party has been playing into this fundamentalism of each Religion. Regional Parties are not free from this. What we need to day in India is the alliance between the Radicality ,and Prophetical Quality in each Religion and Political party. What we need is the alliance between Political Parties in this Qualitative context of True Secularity, an Inclusive Economy and Development. This alliance is further strengthened by the Peoples Movement who believe in this alliance. It means true Land Reform, Education for all, Water for all, Health for all, House for all, as a mandate from the Indian Constitution. This is the meaning of Third Front. This is not mere words and in Practice. Regional Parties also can be playing into the temptation of fundamentalism and power mongering. This alliance has to rise above all these temptations. We have to rise above seven deadly sins as ear marked by Mahatma. On 21 June 2004, Charoen Wat-aksorn was assassinated as he alighted from a bus returning to Prachuab Khiri Khan after he gave testimony about environmental destruction in Bo Nok and Ban Krut to the Senate in Bangkok. Charoen was a prominent human rights defender and leader of the Love Bo Nok group who fought for over ten years until his death against coal-fired power, large-scale shrimp farming and other environmental destruction in Prachuab Khiri Khan. 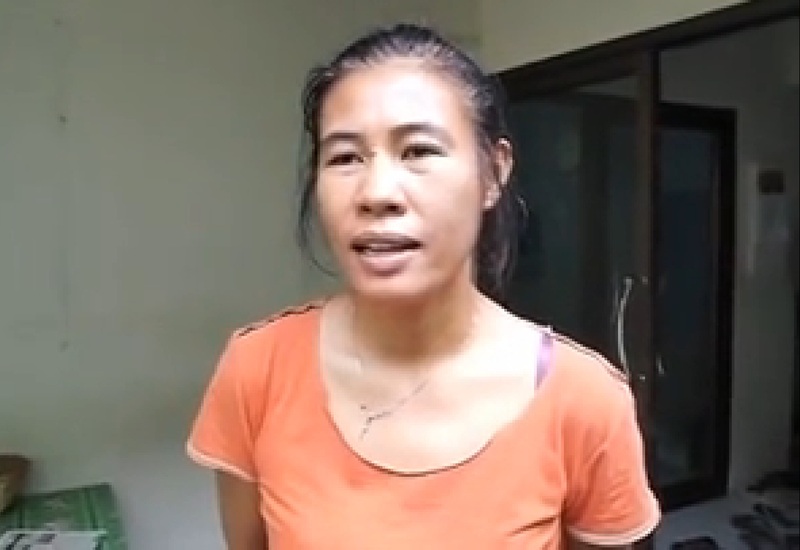 As a result of a lengthy and persistent struggle by Charoen's widow, other members of Love Bo Nok, and additional human rights and environmental activists, five persons were arrested and prosecuted for involvement in his murder. The two alleged gunmen, Saneh Lekluan and Prajuab Hinkaew, who confessed to assassinating Charoen, died in jail under suspicious circumstances before court proceedings began. On 30 December 2008, one of the alleged masterminds, Thanu Hinkaew, was convicted of plotting to murder Charoen and sentenced to death; the other two alleged masterminds, Manote Hinkaew and Juea Hinkaew, were acquitted. On 16 March 2013, the Appeal Court reversed the conviction of Thanu Hinkaew, on the basis that although Saneh Lekluan and Prajuab Hinkaew confessed to murdering Charoen Wat-aksorn, and confessed that they were hired to do so by Thanu Hinkaew, the evidence could not be confirmed directly by the Court as they were dead. The Asian Human Rights Commission expresses grave concern over this decision by the Appeal Court and the failure to secure justice in the case of a murdered human rights defender and environmental activist. Charoen Wat-aksorn was one of over 20 activists murdered during the first government of former Prime Minister Thaksin Shinawatra and his murder, like many others, was carried out through a combination of influential local figures and complicit state officials (See summaries and analysis of these cases in Tyrell Haberkorn, "Appendix 1: Collusion and Influence Behind the Murders of Human Rights Defenders in Thailand," article 2, Vol. 4, No. 2, April 2005). What made the case of Charoen's murder different than many of the others is that impunity was challenged through the actions by his widow, Korn-uma Pongnoi, and other activists. In the ruling by the Court of First Instance, the judges argued that Thanu Hinkaew was motivated by anger with the affects on his business interests caused by Charoen's actions to defend human rights and the environment; sufficient evidence of motive was not found in the case of the two accused masterminds and they were acquitted. The combination of the motive, the confessions of the two gunmen, and additional evidence was found sufficient by the judges in the Court of First Instance to convict Thanu. In contrast, in the ruling by the Appeal Court, the judges argued that there was not sufficient evidence of motive for any of the three accused masterminds and the ruling against Thanu was dismissed. While the Asian Human Rights Commission objects to the death penalty as a matter of principle, the full dismissal of charges against Thanu Hinkaew is a grave miscarriage of justice. The primary reason the judges gave is that although the two gunmen confessed to being hired by Thanu, this confession was made during the investigation only. As Saneh Lekluan and Prajuab Hinkaew died before court proceedings began, their confession did not directly enter the court record as testimony. The next step in this case is for the prosecutor prosecutor, who is the plaintiff in this case, to appeal to the Supreme Court. When Saneh Lekluan and Prajuab Hinkaew, the two alleged gunmen, were arrested and placed in jail, their relatives expressed concerns that they would not leave jail alive. Their fears were correct. On 21 March 2006, before the hearings to obtain witness testimonies were due to begin, Prajuab died in jail, reportedly from a bacterial infection. Then as the hearings were getting underway, on 3 August 2006 Saneh also reportedly died in prison, reportedly due to blood circulation failure as a result of malaria. When Saneh died, the prison hospital director reported that he had not shown any signs of malaria before dying (See UP-180-2006: UPDATE (Thailand): How did the killers of environmentalist Charoen Wat-aksorn die?). While no formal charges were ever brought in connection to the deaths of Saneh Lekluan and Prajuab Hinkaew, the combination of the unexpected nature of their deaths and the timing shortly before they were to give oral testimony in court is worth noting. The decision of the Appeal Court to allow one of the masterminds of the murder, identified by the gunmen, to go free suggests the entrenched difficulties in ending impunity in Thailand. Charoen Wat-aksorn's struggle brought him into conflict with influential business figures who chose to use violence, rather than negotiation or a change to responsible business practices, in response to his calls to protect the environment and the rights, livelihood, and health of local community members (For further information on Charoen's life and struggle, please see Sor Rattanamanee Polkla, "Tribute to murdered environmentalist Charoen Wat-aksorn," Ethics in Action Vol. 4, No. 4.). The decision of the Appeal Court is a direct signal to others unafraid of using violence to protect their interests. The message here is clear: even in the rare case that you are convicted of hiring an assassin to murder your opponent, if the key witnesses do not survive to give testimony in the court, you may be acquitted later. On 21 June 2013 morning, Charoen Wat-aksorn's widow and others will mark the ninth anniversary of his death by going to the Si Yaek Bo Nok temple in Prachuab Khiri Khan where a monument to him is located. As this anniversary approaches, the Asian Human Rights Commission calls on the Thai government to take action to ensure that the judiciary acts impartially and to fully serve justice. ISTANBUL, Turkey, 27 May 2013 (VCHR) – Representatives of 178 non-governmental organizations from 117 countries in Africa, Asia, the Americas, Europe and Oceania, gathering in Istanbul, Turkey from 22-27 May for the 38th Congress of the International Federation for Human Rights (FIDH) adopted an Urgent Resolution on Human Rights in Vietnam. FIDH members denounced the crackdown on freedom of expression in Vietnam, in particular the recent sentencing of University student Nguyen Uyen Phuong and computer engineer Dinh Nguyen Kha to six and eight years in prison for “anti-State propaganda”on 16 May 2013. The Resolution called for their immediate release, as well as that of Buddhist monk Thich Quang Do, bloggers Dieu Cay, Ta Phong Tan, Phan Thanh Hai and other dissidents. Condemning censorship of the media, including foreign television news channels, the use of the death penalty and new methods of execution in Vietnam, the FIDH denounced Vietnam’s bid for membership of the UN Human Rights Council in 2014-2016. Just as this Resolution was adopted, well-kown blogger Trương Duy Nhất, 49, was arrested in the central city of Danang. Accused of “abusing democratic freedoms to encroach upon the interests of the State” (Article 258 of the Criminal Code), he risks up to seven years in prison.His arrest illustrates the ongoing crackdown on bloggers described in the 2013 report published jointly by the FIDH and the Vietnam Committee on Human Rights, “Bloggers and Netizens Behind Bars: Restrictions on Internet Freedom in Vietnam” (in English, French and Vietnamese). An updated edition of the report in French was released at the Congress in Istanbul. 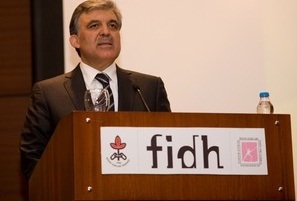 The FIDH Congress, which takes place every three years, was held under the theme of “Political Transitions from a Human Rights Perspective”. Keynote speakers included Turkish President Abdullah Gül, Deputy Prime Minister Beşir Atalay, President of the International Criminal Court Song Sang Hyun, European Union Special Representative for Human Rights Stavros Lambrinidis, Iranian Nobel Peace Prize laureate Shirin Ebadi, UN Rapporteur on the Right to Food Olivier de Schutter, and former UN Special Rapporteur on Freedom of Religion Asma Jahangir. Founded in 1922, the FIDH is France’s oldest and largest human rights organization, with 178 member organizations in more than 130 countries around the world. The Vietnam Committee on Human Rights’ Executive Secretary Vo Tran Nhat represented Vietnam at the Congress. Urges Vietnam to collaborate sincerely with the United Nations to promote human rights, especially by inviting UN special procedures such as the UN Special Rapporteurs on Freedom of Expression and Human Rights Defenders to visit Vietnam; as a priority, Vietnam must follow up its invitation to the Special Rapporteur on Freedom of Religion by urgently fixing the date of his visit; Denounces Vietnam’s bid for a seat on the UN Human Rights Council in 2014, which is incompatible with its abysmal human rights record, and urges the UN General Assembly to reject Vietnam’s candidacy ; Calls upon the European Union to insist that Vietnam upholds its obligations to respect human rights; in particular, the EU should undertake a human rights impact assessment on Vietnam before it pursues negotiations on the EU-Vietnam Free Trade Agreement. National Alliance of People’s Movements (NAPM) strongly protests the arrest of Madhuri Behen in district Barwani of Madhya Pradesh. It is a sad state of democracy to put her behind bars for fighting injustice and bad state of maternal health system. Madhuri Behen from Jagrit Adivasi Dalit Sanghatan was arrested on 16th May, 2013 afternoon in a case that was filed against her and others as a result of protests for forcing a pregnant woman i.e. Baniya Bai who was in a critical condition and was in labour to deliver in full public view just outside the Menimata PHC. The case was filed against Madhuri, Baniya Bai's Husband, Basant and others by the compounder and was registered as FIR No 93 of 2008. Madhuri and others had received a court notice to appear in the Court of Shri D.P. Singh Sewach, JMFC on 16th May. Madhuri appeared and was informed that the police had filed a closure report (khatma) but had not stated clear reasons for the closure and therefore the report was refused. Madhuri was arrested from the court complex. She has been remanded in JC till 30th May 2013 and will be placed in Khargone women's Jail. This case of Baniya Bai is also part of the writ petition filed in the High Court Of MP, Indore Bench in which the status of maternal health services was raised in light of 29 maternal deaths recorded in a span of 9 months in Barwani DH. We demand:- · Immediate release of Madhuri Behen and others in the matter. · To the State government to look into the matter of Maternal Health and health system in large as a serious concern. A ST resident of of village Sukhpuri, Barwani. Baniya Bai was taken to the Menimata PHC for delivery by her father-in-law, Dalsingh, on the night of 11 November 2008. They made the 15 km journey on a bullock cart because no other transport was available. After admitting and taking a cursory look at her, the compounder, V.K. Chauhan, and nurse, Nirmala, left the PHC and went home. The next morning, Baniya was forced by the compounder and the nurse to leave the hospital. Her family was asked for Rs. 100, which they did not have and so Dalsing immediately went to get money from their village. Despite attempts to re-admit Baniya Bai to the PHC, the compounder flatly refused saying that they could not manage the delivery so she would have to go to Barwani DH or Silawad Hospital. Baniya’s relatives tried to get the Menimata hospital compounder, nurse and staff to call for the Janani Express, but were unsuccessful. The family was told to make its own arrangements to refer to a higher hospital. When forced to leave the PHC Baniya Bai crawled out of the labour room, on to the road outside the PHC, where she lay down in severe pain. Eventually, Baniya’s mother-in-law, Suvali Bai, went looking for a Dai in the marketplace and found Jambai Nana, who had come to market collect her wages. After hearing about Baniya Bai's situation, Jambai agreed to assist her, and at around 12PM, conducted a normal delivery on the road outside the hospital. The father-in-law gave his dhoti (loin cloth) to provide cover for Baniya Bai during delivery. Following this incident, a crowd gathered outside the health centre. Madhuri was passing by, inquired about what was happening. She then called up the Silawad CHC, the Silawad Police Station as well as health officials from Barwani. Upon being informed, senior officials from the health department ordered for a vehicle to be sent immediately to the Menimata PHC. After being denied emergency obstetric care and being forced to deliver in public view, Baniya Bai's and her child were taken to the Silawad Hospital for admission. The compounder was suspended after repeated demands for action from JADS, but was soon reinstated. Burma will never make a “U” turn move? Former military man who turned head of USDP and state, President Thein Sein promised that Burma will not make a move “U” turn in this reform process during a toured to 5 European countries (late February and early March 2013). Even though President Thein Sein’s government bullied the whole world with the most lucrative flavor of effectively well design bogus, his merit could not help to hide all their empty promises and dirty acts by wiping out ethnic groups one after one. In order to get credit from international communities and their approval, Thein Sein government pretends to show off that they have succeed remarkable steps by having bogus ceasefire agreement with ethnic armed groups and bogus democracy flavor. It was just a show as you may aware by observing several occasions of wars were being broke out between Burmese military and Kachin Army and Shan in the name of “Myanmar Peace Initiative Movement” which is fully supported by Norwegian government. Finally Kachin armed groups are being cast out from their own territory while the government is giving a word to international communities that they are still on the process of reaching ceasefire agreement with ethnic armed group. The same applied to Shan and the rest of ethnics groups and it is still on the process of being plug out one after one in the name of ceasefire agreement, peace and stability. International communities do not see what the real interest of innocent civilians and ethnics groups from Burma, but their own profitable business deal with civilian dress military men. In the long run, its will not only damage the interest of local innocent people but it will also spread degrading moral attitude beyond Burma, and the reputation of international communities’ roles and responsibilities, their status is being discredited. Lack of leadership skills and lack of wills power to cooperate among ethnics groups simply lead to the fall of every ethnics groups fate. Even though there were a times that, combination of all ethnics group were much more stronger and more advance than the military forces, but it’s never happen to be fully cooperate among ethnic armed group in order to overthrow military group. It simply proved that there is a lack of the right man to lead them, lack of strategy and extreme egoism. Oppositions groups were being divided by military regime from the time of revolution has begun. Ethnics groups were never able to reach common agreement in order to cooperate for common interest in the process of revolution. That is one of the main reasons why ethnics groups fail to overcome revolution. Even President Thein Sein’s recent trip to Norway was somehow proved that how Thein Sein government manipulated upon opposition groups in Norway by inviting one of the most active opposition group NLD-LA to make a peace deal in Burma prior to President Thein Sein’s visit to Norway. NLD-LA group were being keep to wait several weeks at Thai-Burma border until President Thein Sein’s Europe mission was completed. So that mainly members of NLD-LA group who live in Europe will be unable to make any major critic during President Thein Sein visit to Europe. President Thein Sein and his team were reluctant to face any demonstration without including major political activists. Even they could somehow succeed to abolish NLD-LA Norway branch by their cronies in Norway. The NLD-LA group returned with empty promised and no remarkable yield during meeting in Burma but President Thein Sein returned Burma with a big smile. Let us go back to the history of civil war: whenever there was a war broke out between any ethnics armed group and military group, there will be only one ethnic armed group at the time who are engaging war with Burmese army for defending themselves, since the rest of ethnic armed groups are reached under ceasefire agreement or they are already fled from their base ground. Opposition groups and ethnic armed groups were failed to apply the right strategy again and again from the beginning. According 2008 constitution stated that “The constitution requires a majority of more than 75 percent to pass legislation, while 25 percent of seats are reserved for the military. Amending the constitution requires a vote in which more than 50 percent of elected officials must support the amendments. In 2008 constitution, there is no intention to implement federal system and no to guarantee for the rights of ethnics groups and civilians. NLD party led by Aung San Suu Kyi contested by-election in April 2012 although knowingly totally unacceptable flaws of the 2008 constitution drafted by military men. The strategy which Aung San Suu Kyi and NLD are using is a dangerous game in politics. Since 2012 after Aung San Suu Kyi contested to win by-election, the political environment in Burma is totally change. But the word “change” simply doesn’t means to be a better one or to the right direction. After analyzing all the in formations what we have received proved that the military men will dominated politic in Burma forever in the name of democracy. The same group is dominating and taking control of every major decision making body of the government in the name of “reform”. This strategy will never bring into the right paths of genuine democracy and peace in Burma. In that case, why should President Thein Sein and his government wants to make a “U” turn? Since this “change” has make them legal ruler of the country in the name of democracy from the status of illegal ruler. After all, the same wicked people from military men will dominate the country forever under civilian dress by granting unimportant positions to power hungry immature politicians and selfish opposition groups. Under the name of Democracy and peace, more and more ethnic groups are being wiped out from their own territories. Most of innocent civilians’ lands are being confiscated in the name of development project which is directly responsible by international communities and whosoever cooperating with the civilian dress military men regime. The fact is that there is nothing to be compromise if we really wanted to find out the truth. The truth is to grant the rights to the one who is entitled to have their own rights. As long as someone doesn’t rob the rights of other, there will be peace. ULAANBAATAR, 29 April 2013 (VIETNAM COMMITTEE) – Foreign Ministers, parliamentarians, global media representatives, democracy and human rights activists from over 100 countries gathered in Ulaanbaator, for the VII Ministerial Conference of the Community of Democracies from 27-29 April 2013, hosted by Mongolia, the Community’s current President. Opened by Mongolian President Tsakhia Elbegdorj, government participants included UN Under-Secretary-general Kassym-Jomart Tokayev, US Deputy Secretaty of State William Burns, EU High Representative Catherine Ashton, Vice President of Costa Rica Alfio Piva Mesen, Vice President of Nigeria Namadi Sambo and Thai Prime Minister Yingluck Shinawatra, as well as with two special guests, Nobel Peace Prize laureates Tawakkol Karman from the Yemen and Aung San Suu Kyi from Burma/Myanmar. The Ministerial Meeting was preceded by four two-day forums of Civil Society, Parliamentarians, Women, Youth and Corporate democracy. The presence of Aung San Suu Kyi, who had addressed a video message to the Community of Democracies at its creation in Warsaw in 2000 whilst she was under house arrest, was especially symbolic of the democratic changes taking place in Asia today, and reflected the Mongolian Presidency’s emphasis on supporting democracy in the Asia-Pacific region. Maria Lessner, former Swedish Ambassador for Democracy and current Secretary General of the Community of Democracies, stressed this aspect in her opening speech: “Democracy is on the rise in Asia. Democracy is winning, not with a big bang, but in the traditionally Asian way, step by step”. In particular, the Conference announced the establishment of an Asian network of democratic countries, and a civil society counterpart, the Asian Democracy Network (ADN) to mark the legacy of Mongolia’s Presidency of the Community of Democracies. This network will bring together civil society movements in countries all over Asia, from democratic countries as well as transitional or non-free regimes, linking them with region-based think tanks to develop a knowledge-based understanding of democracy issues. It will also seek to engage with established Asian democracies to support democratic progress in the region. Mr. Vo Van Ai, President of the Vietnam Committee on Human Rights and Que Me: Action for Democracy in Vietnam, and member of the nongovernmental International Steering Committee of the Community of Democracies welcomed the creation of the Asian Democracy Network: “The creation of this unique network is extremely important. For Vietnamese, it is particularly timely. Tomorrow, 30th April, we mark the 38th Anniversary of the end of the Vietnam War, when Vietnam was united under communist rule. For almost four decades, the Vietnamese people have been calling for democracy and basic human rights, and many have sacrificed their freedom in this struggle. Today, 32 bloggers and online journalists as well as scores of peaceful democracy activists, many of them very young, are serving prison sentences of up to 16 years simply for expressing their democratic ideals. Vietnam continues this crackdown despite its international commitments. I believe that the Asia Democracy Network can contribute significantly in supporting and strengthening the emergence of a democratic process in Vietnam, and I will do my utmost, as a member of this network, to contribute to this effort”. Participating in the Civil Society Pillar of the Ministerial Meeting, Vo Van Ai alerted the Community of Democracies (CD) to the escalation of violations of freedom of expression in Vietnam, both online and off-line, as well as repression against religious bodies such as the Unified Buddhist Church of Vietnam, and the detention of UBCV leader Thich Quang Do. He called on the CD to set up Working Groups on Media Freedom and Freedom of Religion or Belief. Amongst the Civil Society Recommendations submitted to the Ministerial Meeting, the International Steering Committee “specifically, urge[d] all CD governments to publicly condemn the increased pressure on civil society organizations, particularly those in Russia, Azerbaijan, Ethiopia, Iran, Vietnam, Venezuela, China, Bahrain, Zimbabwe and Egypt, where NGOs are harassed by governments who accuse them of acting as “foreign agents” and for “undermining national sovereignty.” CD governments should condemn those who stigmatize and persecute NGOs for their legitimate human rights and democracy work on the grounds that they receive funds from or work with international partners”. During the Ministerial Meeting, several government representatives called for democratic progress in Vietnam. The President of the CD’s Parliamentary Forum for Democracy Emanuelis Zingeris from Lithuania, commended Aung San Suu Kyi’s leadership role in Burma which had “opened the door” to dialogue with the democratic community. “It is extremely important, and I hope Vietnam will follow this example”. Mongolian Foreign Minister Luvusanvadan Bold, expressed Mongolia’s willingness to support democratization in Vietnam: “23 years ago, Mongolia was a communist country. Now we have moved from totalitarian rule to democracy. We can share with the Vietnamese people these democratic values that we have re-invented in Mongolia. Democracy is about people, about empowering people. It’s about giving people the rights they should enjoy. I think the process in Vietnam is advancing step by step, and I hope they will accept to share these common values, and become a democracy one day soon”. The Community of Democracies is a global intergovernmental organization founded in Warsaw in 2000 that works to strengthen democracy worldwide. It has a government component made up of government representatives and a nongovernmental component of civil society representatives, with an International Steering Committee of civil society representatives from five continents. worldwide. Since 2004, CD governments have also created a Democracy Caucus at the United Nations, and a UN Democracy Fund to support civil society movements working for democratic change.